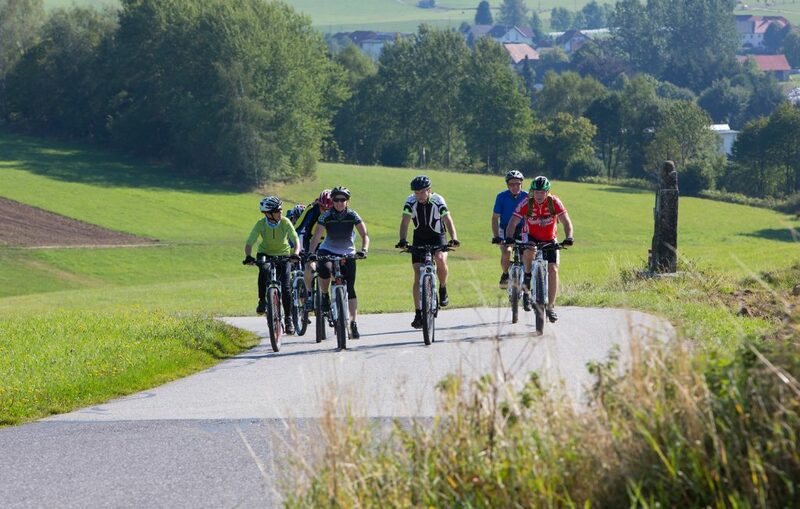 The Mühlviertel and the Mühlviertel Cycle Trail are located on the European Green Belt, the largest ecological network system in the world. This border region, which divided Europe during the Cold War, now offers touching life stories, diverse culture and above all a unique landscape. 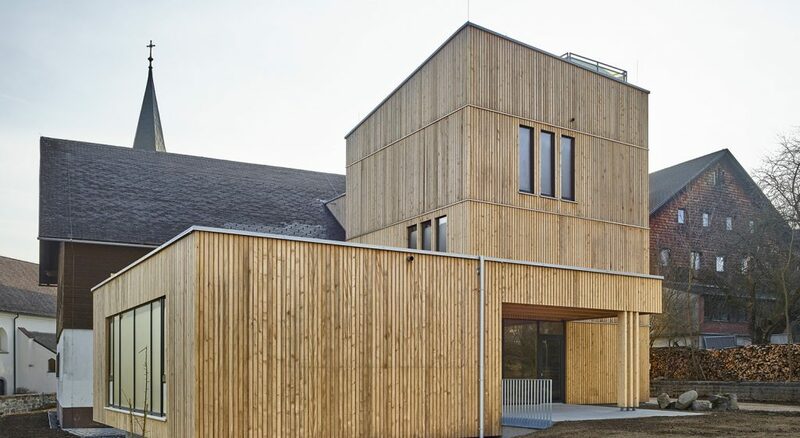 The newly constructed Green Belt Center in Windhaag bei Freistadt in Upper Austria sees itself as the gateway to this natural and cultural treasure. An old forest house was turned into a modern visitor information centre in a possibly record-breaking reconstruction period of just one year. The Green Belt Center offers a total of 1000 m2 for exhibitions and information about the nature, history and the future of the Green Belt. It allows visitors to find out about the peculiarities of the region before starting out on a voyage of discover. A modern wooden building sixteen metres high houses the exhibition levels in a former school building from the time of Anton Bruckner. Inside there is an exhibition all about the European Green Belt, where you can immerse yourself in the diverse nature of the story. 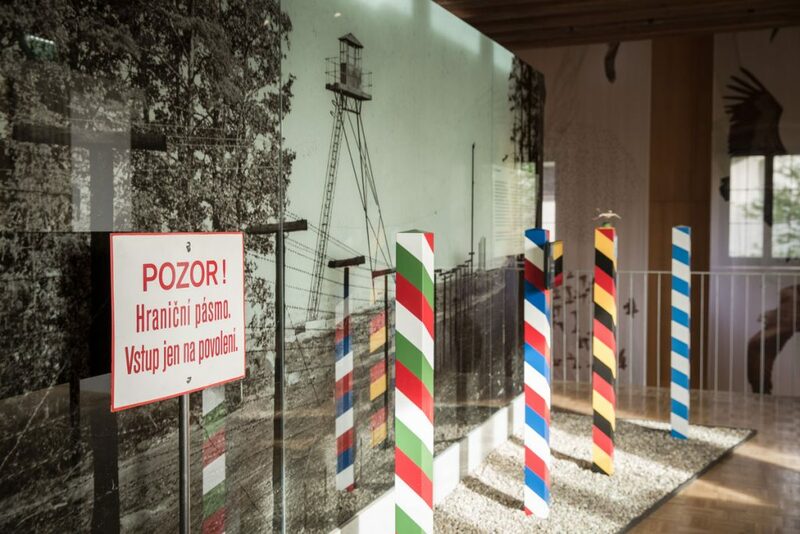 The focus of the exhibition begins with the Iron Curtain and the natural environment of the former border area. The exhibition takes visitors across regional borders from the subarctic tundra in northern Europe to the Black Sea. 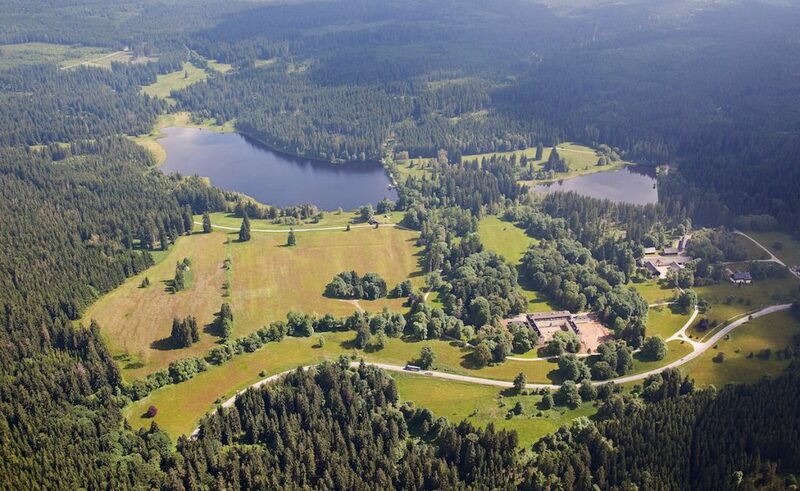 The focus then shifts to the Green Belt along the Upper Austrian border. At the end of the exhibition is a future-oriented room that looks at the world of “the day after tomorrow”. On the top floor, a specially designed exhibition on knights and settlers until the twentieth century takes a look at the region’s eventful past. The fact that the entire exhibition texts are available in German, Czech and English is part of the concept: The visitor information centre aims to further develop soft tourism across borders and meet guests and partners on an equal footing.